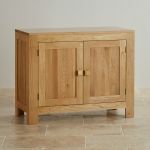 For your more compact storage requirements the Oakdale Natural Solid Oak Small Sideboard offers an excellent storage option whilst being efficient with space. 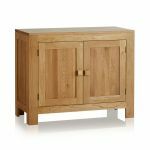 Produced by expert cabinetmakers the sideboard is made using only the finest solid oak timbers and you will not find an inch of chipboard, MDF or veneer in any of our products. 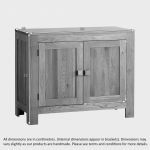 The two double doors open to show off a spacious interior with a useful shelf that increases the flexibility of the available space intelligently. 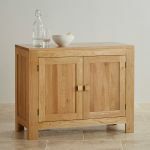 This fantastic oak sideboard will be equally at home in the kitchen for your pots and pans, the study as a filing cabinet or to store your towels and toiletries.